It was well before Christmas, when one day we stopped at Walgreens to pick up stockings. 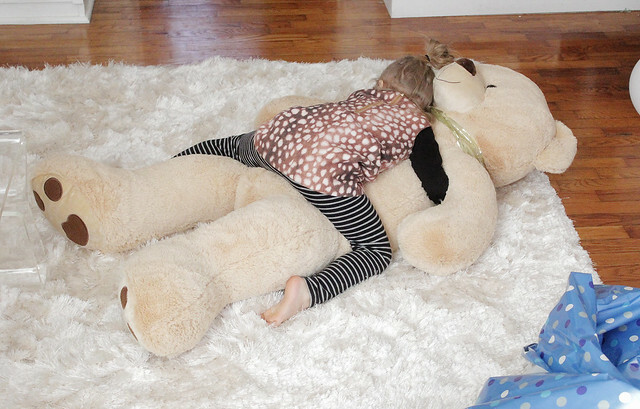 Poesy spotted this insanely huge bear and it was love at first sight. We visited Walgreens a few other times after their initial meeting, and each time we were in the store you could over-hear her talking to the bear: "Giant Bear, one day I'm going to save all my dollars and I'll come back for you and you can live with me forever. It's a promise. I love you so much." As you can imagine, there was quite a bit of screaming and jumping and "thank you, thank you, thank you" happening. Being parents can be hard or weird or whatever sometimes, but geez... being able to bring someone so much joy from a great, big teddy bear, well that's just the greatest. 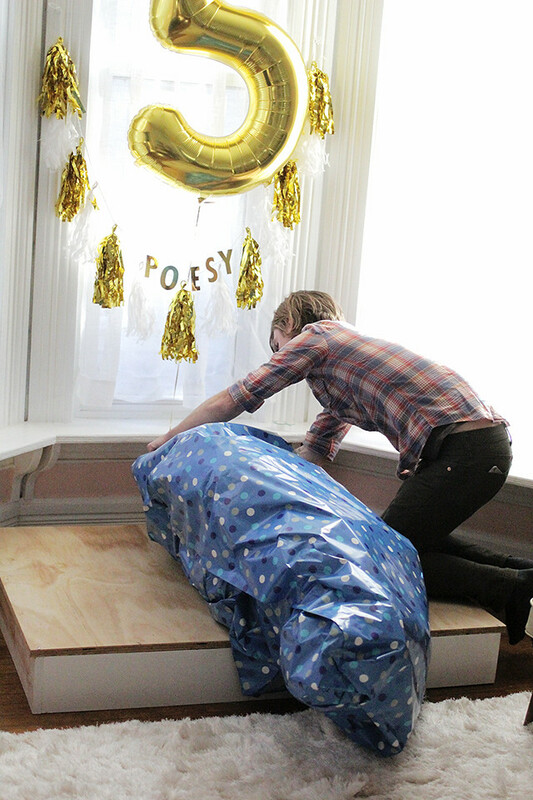 "Giant"...very good name!I have smiled when I saw this enormous gift paper and imagine her happy face seeing it! Welp, this is the cutest thing ever. This is the cutest post ever! I bet she was so chuffed :)! I'm glad she got her bear. ❤️ My brother just turned 39 and he still has his childhood teddy bear. Those photos made me laugh out loud! It truly is such a joy to bring a big smile to your kids face. High five! She's so adorable. So much gratitude and happines.. ♥ What a precious gem! his name is on point! you and johnny are such fun, wonderful parents! 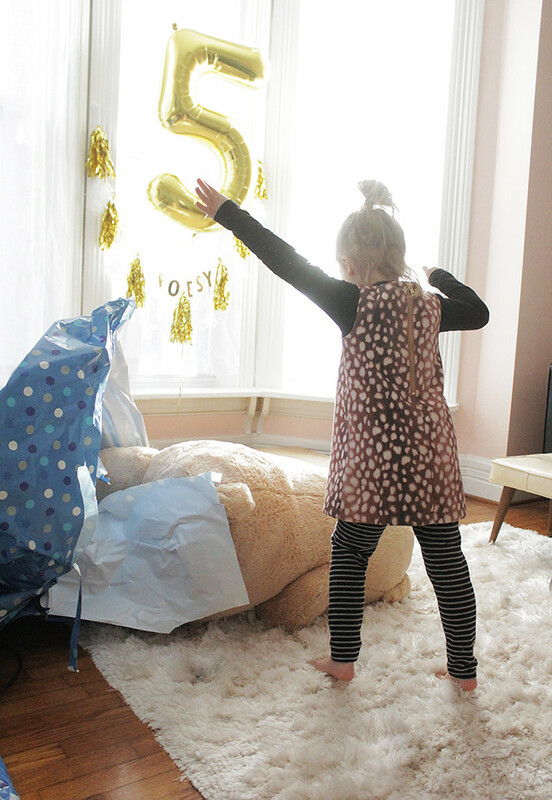 <3 happy birthday to poesy and happy five years since giving birth mama! 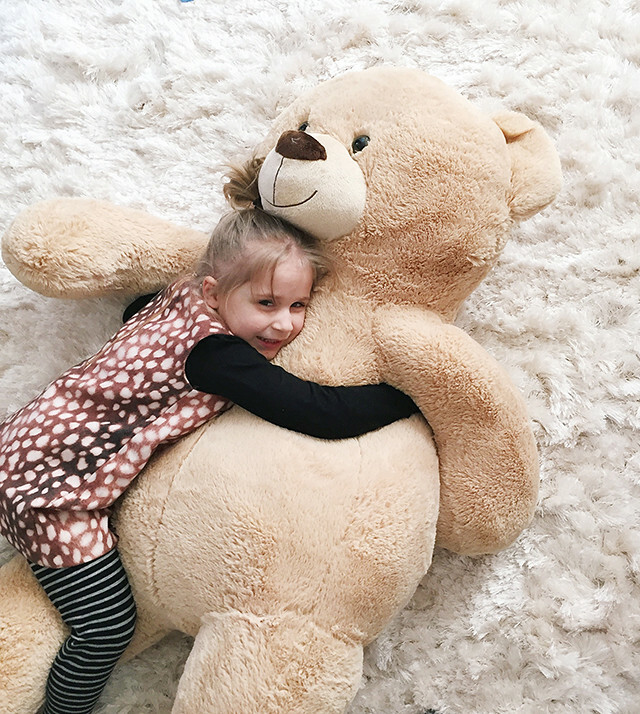 She is so beautiful with her giant bear :) I can just imagine the look on her face and her absolute excitement unwrapping him. The best feeling watching your kiddo being so excited opening your gift. 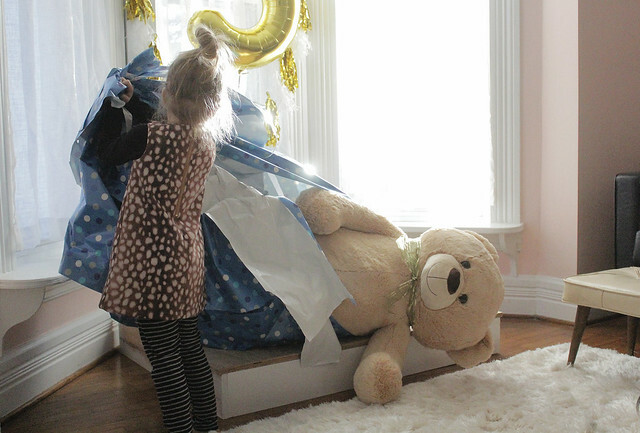 I'm sure Posey will love her Giant Bear for many years. Well done to you and Johnny.